Ashley Sisco has over 10 years of research experience working with First Nations, Métis, and Inuit communities across Canada (especially the Canadian Arctic) and a Narungga community In Australia. For the past five years, Ashely has worked as Principal Consultant of her research firm White Buffalo Consulting Inc. (formerly Ashley Sisco Research Services), which specializes in community based research and Aboriginal relations and issues, including: education and e-learning programs, health and wellness, community development strategies, land claims implementation and impacts and benefit agreements, and business and economic development. As an independent consultant, Ashley has worked with a diversity of community, private, and public sector clients on projects ranging from: needs assessments, reviews, and evaluations; case studies and reports; strategies and strategic plans; grant and proposal writing; executive network meetings, events, and consultations; and computer programming and web development. 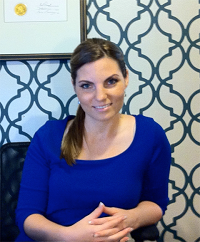 Prior to consulting, Ashley worked as a Researcher and Strategic Advisor. Between 2006 and 2010, she worked as a Research Associate and Council Manager with The Conference Board of Canada, during which time she: developed and managed projects and published research on Aboriginal and Northern issues; facilitated meetings with Canada’s Aboriginal relations leaders; and presented research at conferences and meetings. In 2013-2014, she worked as the First Nations, Métis, and Inuit (FNMI) Education Advisor to a public school board, providing it with strategic leadership on its FNMI programming. Ashley has a Ph.D in Education (cross Faculty with Indigenous Studies) with the University of Wollongong in Australia. Her thesis is a community-based partnership research project that involved working with the Carcross/Tagish First nation in the Yukon and the Narungga community of Point Pearce in South Australia on applying an Indigenous relational framework to consultations. She holds a Master’s Degree in Canadian Studies (Aboriginal and Northern Studies Stream) from Carelton University and an Honors Specialization Anthropology Degree from Western University for both of which she spent time working with Inuit communities in Nunavut. During her Master’s, she co-founded the Word Warrior Society with seven other graduate students, a group dedicated to promoting Indigenous rights and interests. During this time, she was given the name White Buffalo.